Online casino bonuses often sound too good to be true, and oftentimes they are just that. Just about all the online casino bonus offers have stipulations and requirements. Casino bonus money is given away to new players to wager with, that is true, but before the customer may withdraw any funds, they usually have to meet specific “wagering requirements”. The online casinos differ among themselves with the specifics of the bonus offers and their wagering requirements. The overall attractiveness of an online casino’s bonus offer is first and foremost dependent on the EASE of the wagering requirements associated to that bonus. The wagering requirements usually consist of the minimum necessary “rollover” of your deposit amount and bonus, meaning that you must wager the sum of your deposit and bonus amount a certain amount of times. A typical rollover requirement may be 30 times, so if you deposited $100, and received a bonus of $100, and the wagering requirements demanded a rollover of 30x, then you would be required to wager $6,000 ($200 x 30) before processing a withdrawal. 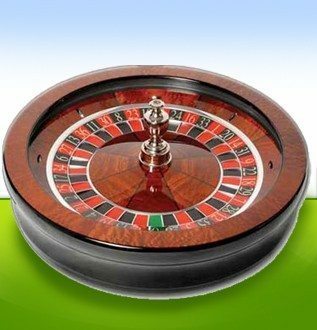 Another factor for evaluating a casino bonus is what games contribute towards the rollover requirement. Not all games count towards that wagering requirements, or wagers on those games may only count partially towards the rollover requirement. Typically, online slot games and scratchcards count 100% towards the wagering requirement, however blackjack and video poker may only count 20% or 25% towards the requirement. Finally, some casinos allow the bonus money to be withdrawn, while others offer the bonus money only for wagering purposes and cannot be withdrawn. Casino bonuses that can be withdrawn are known as “cashable” bonuses and are obviously more valuable than non-cashable bonuses. This is another factor that determines the overall attractiveness of a casino bonus. When comparing online casino welcome bonuses, you have to look beyond just the bonus amount. Be sure to understand if the bonus is cashable or withdraw-able, be sure to compare the wagering requirements (lower the better), and whether the games you intend to play will contribute towards reaching those wagering requirements. These are also important factors to consider when comparing casino bonuses!